Cruising through the Chatham Hills property to the southwest of Tomlinson Road and 203rd Street affords landscape views not commonly seen in Westfield. 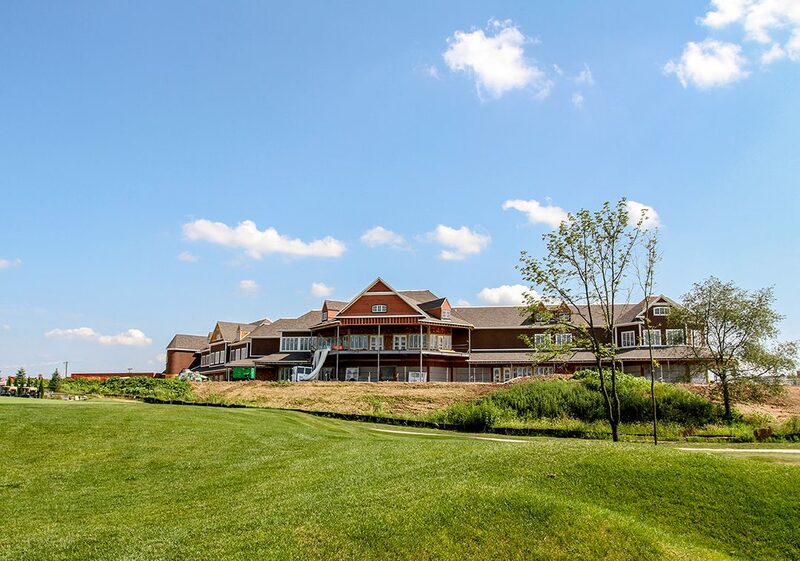 The Chatham Hills development, a project by Westfield resident Steve Henke, features an 18-hole championship Pete Dye golf course; a nine-hole, par 3 executive golf course; custom homes; rolling hills with ravines; and a touch of history throughout the development. A 65,000-square-foot clubhouse with a swim-up pool bar, three restaurants, a four-lane bowling center, a sledding hill and other amenities are under construction and slated to open this fall. “That’s really what we’re doing here, is building an exclusive, resort-style community,” Henke said. As a result, Chatham Hills is attracting more than Indiana residents. People from Las Vegas, California, Chicago and other areas across the U.S. are attracted to the neighborhood. 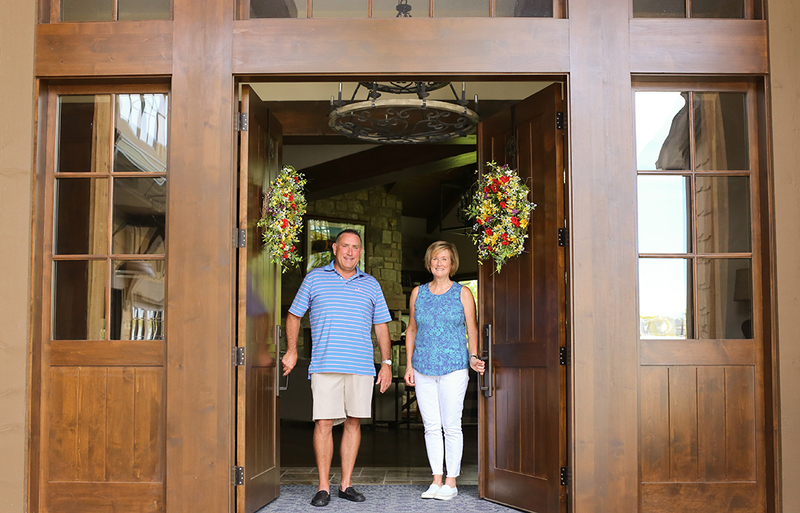 Chatham Hills residents Curt and Linda White moved in a year ago after living in Southern California for 14 years. Their 25-year-old daughter Maggie also lives with them. Maggie has Down syndrome. Linda is a member of the Women’s Golf League at Chatham Hills. Curt is a member of the Men’s Golf League. Last year, the women’s league had six members. It now has 30. “It’s really caught on,” Curt said. Prior to living in California, the Whites lived in Minnesota. One of the reasons they returned to the Midwest was to expand their social horizons. Henke, however, is doing more than building an exclusive neighborhood in Westfield. He’s tying in history with the Lindley Farmstead, which was renovated by Henke Development Group into an event venue. Historic artifacts, such as a portion of a fence from the 1800s, have been added to the topography throughout the golf course. In addition, two bee hives have been installed on the Chatham Hills property. The bees pollinate the plants throughout the development and produce honey. “We have bee hives for pollination and will have the first 30 to 40 pounds of honey this fall,” Henke said. The hives were established with four pounds of bees in May, which equals 8,000 to 10,000 bees. Now, there are close to 30,000 bees between the two hives. Property development began in 2015. Three hundred of the approximate 700 lots are already sold. Approximately 240 homes have been built or are under construction. Prices range from $500,000 to more than $2 million. Henke said he expected the project to take six to seven years to complete. Steve Henke of Henke Development Group also developed the Bridgewater community, beginning 2002. He and his wife reside in Bridgewater but recently put their home up for sale so they can move to Chatham Hills. Land was added to the original Bridgewater community, and some construction is still under way. For the future of Chatham Hills, Henke said condominiums or townhomes are a possibility. He’s also developing a Cape Cod-style apartment complex with 260 units. The complex will begin construction this fall. Another Henke Development Group project is the Grand Park Village, which will include multi-tenant buildings with restaurants and shops on the water. Four restaurants and a day care center have already signed leases. Henke said he expects the development to take up to 10 years to complete.